The Drametse Lhakhang is one of the largest located in eastern Bhutan and was founded by a renowned nun named Choten Zangmo, the grand-daughter of the famous spiritual saint Pema Lingpa (who discovered some religious treasures within Membartsho Lake) in the 16th century. The lhakhang is located 18kms away from Trashigang to Mongar highway. 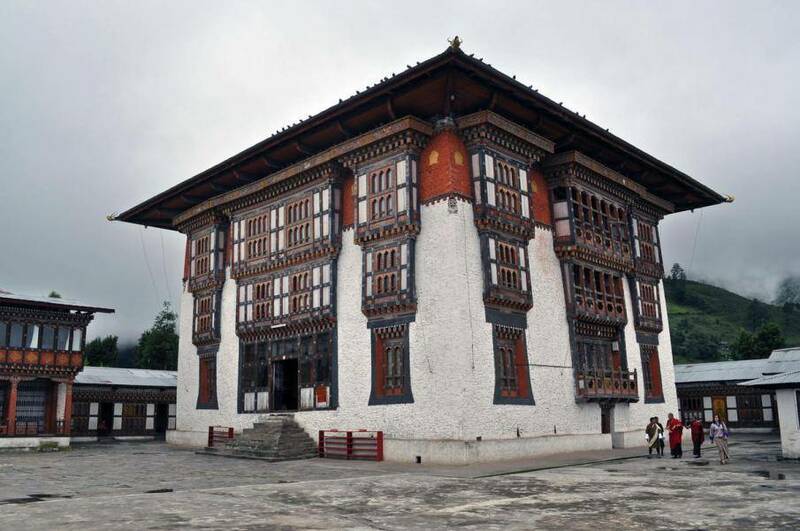 The Lhakhang has a wide range of spiritual treasures, sacred objects and has proved to be the inspiration for attaining spirituality to the people of Drametse (situated about 18 KMs from the Tashigang to Mongar Highway) and the neighboring communities. It is also connected with the religious saint Pema Lingpa and the Peling tradition of Buddhism. There are also many religious festivals celebrated here such as Trel Da Tshechu, Kaggsol Chenmo and Daw Drugpai Choep. The Drametse Ngacham is one of the main dances performed in this temple during the festivals. The festivals are attended by a large number of pilgrims, tourists and local people.